12 years ago, today, I became a mother. It's an exciting day! My son has become quite fond of the Minecraft game and has taught me a little about it. It's interesting and popular. 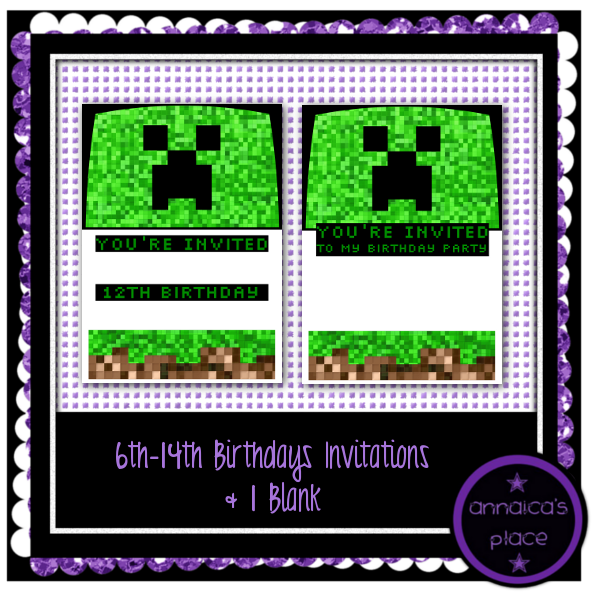 He told me he wanted his birthday invites to look like Minecraft, so I designed some simple invitations in Gimp and thought it'd be nice to offer them to my readers too! There are 10 invites total, ready for you to fill out with all your celebration details! From 6th birthday to 14th birthday as well as one blank card (as shown in preview above). 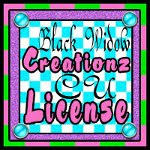 If you like this, please share my post on Twitter or Pinterest or Facebook! I appreciate it! You can read the full TOU in the downloadable file. You may not redistribute my creations. Just share my blog link so others can get their copy.